Turns out, the benefits of sports go well beyond the playing field. High-stakes athletic competition can lead to success in business, according to a report by EY tax advisory service and ESPNW that interviewed a series of Olympians, professional athletes and college competitors who went on to become entrepreneurs. Why? When playing sports, women develop valuable commitment and leadership skills, not to mention self-discipline and an ability to perform in high-pressure situations. To see how our own FEW community members can relate, we've quizzed a few entrepreneurs about how their sporty backgrounds have contributed to their success. 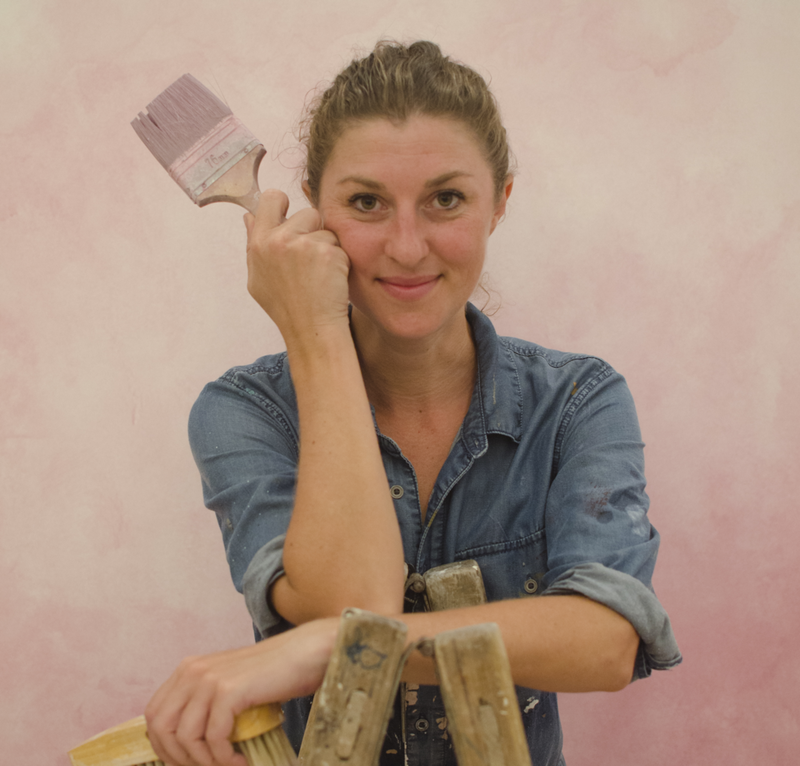 Elsa Jean de Dieu is a French visual artist who has been painting her way across Asia for the past eight years. An ultra-marathon runner, Elsa explains how training contributes to her professional stamina, stress management, and self confidence. When did you start racing? How does it balance with your entrepreneurial life? "I actually started racing at the same time that I started working here in Hong Kong! Moving to Hong Kong was a wonderful challenge as an athlete and also as a professional. It’s when I began the path to opening my own business and also to running in races -- now I love challenging myself more and more." What have you learned from being an ultra-marathon racer? "To never give up! During a 100-kilometer race or even during simple training, there are many ups and downs. There are times when you have doubts and question yourself on whether you can keep going or not, why you are even doing it...."
"You have to learn how important it is to be able to face and accept every situation, every state of mind -- and to let go of the pain in order to pass the finish line." How has training impacted you and your business? "Stress can seriously reduce your capabilities, so the better you can manage your stress, the more efficient you will be. We need to live in the moment, and realise that getting stressed or worrying about the past or future is not helpful. We can control our mind to focus on the present if we learn to trust ourselves." What have sports taught you about discipline? "You can only achieve extraordinary things if you train hard every single day and keep focused on your dream. Discipline is what gives you the strength to move on to the next level and, one day, will allow you to jump far out of your comfort zone and discover magical things." "You really learn to push your limits in training, and this is essential when starting your own business. You will constantly face unexpected challenges and uncomfortable situations where the solution is not obvious." "Training strengthens the mind and confidence, and this will help you to succeed in other goals in life. A mountain is made of thousands of steps and it’s impossible to climb them all at once. Taking one step at a time is key for every entrepreneur." "I’ve done the Trailwalker several times and, each time, I am amazed to see how important it is to provide mental and physical support to my teammates when they need it in order to cross the finish line all together." As the fastest woman climber in the world, Annabelle Bond, OBE (Officer of the Most Excellent Order of the British Empire), scaled the Seven Summits (the highest peaks on each continent) in just 360 days. Annabelle has been showered in awards for her dedication to mountaineering and charity -- even named an OBE (Officer of the Most Excellent Order of the British Empire) by the Queen of England. We spoke to Annabelle about setting goals, empowerment and overcoming obstacles. How do sports fit into your life day to day? "Sport has been such a huge part of my life since I was 5 years old. It has taught me to understand both success and failure." "I believe very strongly in using healthy competition as a motivator to push myself to the next level. It has helped me understand the importance of nutrition and looking after my body which is effectively my engine when I am performing." "I exercise at least an hour every day, as I find it very therapeutic to keep my mind happy. Any problem you have seems small after an hour long run." What skills have you learned from being a professional climber? "There are many life skills that I learnt from my time in the mountains that I apply in my day-to-day life. For me, I can't emphasize enough the importance of setting goals and working towards them." "The feeling of working towards and achieving a goal is very empowering and enables you to believe in yourself and your ability to achieve things in life. This sense of empowerment also enables you to work through any negativity that may come into your life." "Risk assessment was something we used a lot in the mountains and that is certainly correlated to business life; however, our lives depended on getting this right in the mountains, so the stakes were slightly higher!" How have you carved out a career path? "I had a slightly different experience -- I went from being a business professional to an athlete, where I had to ensure my daily routine was structured and on a trajectory to achieve success. After completing the Seven Summits in 360 days, I then made the transition to being a single mum." "This was very hard for me, as I had to learn to be responsible for someone else -- I needed to be grounded and in once place not moving from mountain to mountain and country to country, pushing myself physically." "I drew from my experiences from the mountains and implemented them into motherhood. Being exhausted, having to be organised, dealing with ups and downs and understanding how much I loved and was responsible for this person." What tips would you give young athletes? "Be smart -- don't let anyone tell you that you can't do something. Try and capitalise on your athleticism, as it is hard to stay at the top of your game for too long." "Diversify and monetise your talents as best you can and plan for the future -- when your body can't sustain the competition." "The same message always applies: it's focus and hard work that bring success in whatever field you're in." How do you think training prepares women for leadership roles? "Leaders should always lead by example -- hard work, discipline, focus, self-belief, dedication to your sport or job, striving to succeed. If you get knocked down, pick yourself up and continue." 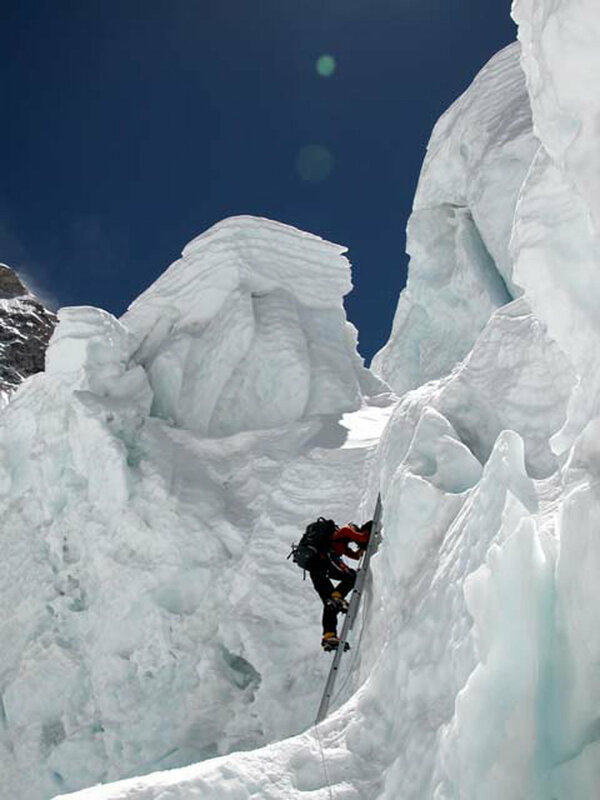 What did you learn from conquering the Seven Summits? "Never fear failure. Many of the world’s best leaders have all experienced failure. I honestly believe that failing is a very important lesson to experience and, sadly, too many kids today are being shielded from learning this these days." 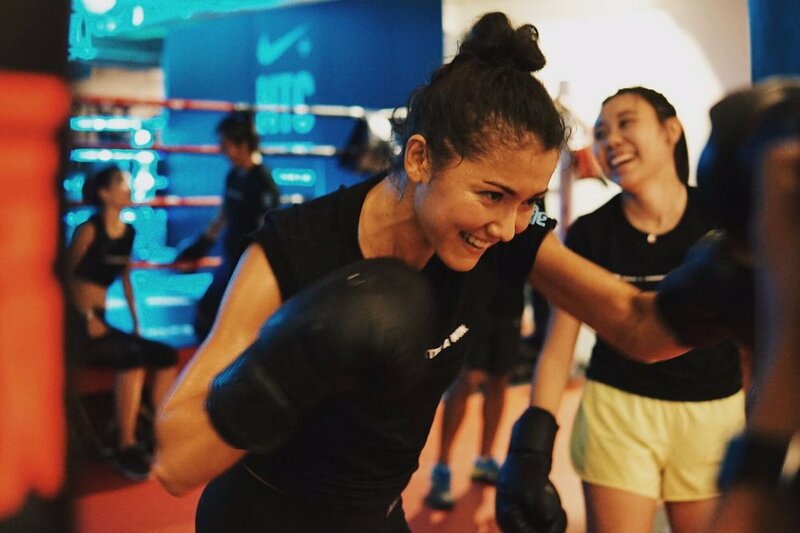 Tricia Yap is Hong Kong’s first professional female MMA fighter, the founder of MMA gym Warrior Academy, director of fitness at Goji Studios, and a coach on Viu TV’s women-only MMA show G1 Fight Club. Tricia tells us about developing self-confidence and the power of perseverance. How long have you been competing in sports? "Throughout my life, I’ve always played sport. Growing up, I swam at state-level. Later, I went on to compete in adventure racing and ocean swimming. After moving to Hong Kong, I picked up boxing." "At the time, I was one of the first women to fight at the now popular Hedge Fund Fight Night. A few years later, I picked up Brazilian ju jitsu and MMA. I'm now a professional MMA fighter and a BJJ Blue belt." What skills have you honed from high-pressure competitions? "I learned to believe in myself and own abilities. I grew up with little self-confidence, as I came from a dysfunctional family and was horribly bullied as a teenager. I recall being shot with BB guns and having my skirt pulled up, and teased because I was Asian or because I was different." "But on the playing field, in the water, in the ring, on the trails -- everyone is the same. Only those who try, persevere, and believe in themselves will survive and come up on top. Sport showed me the important of confidence and mind-set from a very young age, but it was not until I was older that I was able to apply this to my professional life." "Being able to believe in myself in the ring gave me the courage to quit a corporate job and re-start life as an entrepreneur. I would have never taken that risk had I not taken up a sport." What was the transition like -- moving from life as a professional athlete to working in a business environment? "It has not been easy. Currently, my priority is to develop the business. The shift in mind-set has been challenging because I love training, but now I focus my energy on being a good leader and manager." "I miss competing in boxing and MMA, but being competitive at the professional level requires a lot of dedication and time. To pursue this opportunity, my sport has taken a backseat. But I don’t count myself as down and out. I intend to continue competing -- just not in the immediate future." What tips would you give to other athletes, who have the chance to start a business? "Be prepared to reprioritise your life. Starting your own business is not easy, but it doesn't mean that it has to consume your life. When you first get your start-up going, you will realise that there are so many things to do -- there never seems to be enough time to do it all. "You will be wearing many different hats and playing lots of different roles. You may feel overwhelmed, more often than not. Take out time for yourself." "In many cases, you may have a very lean team -- or maybe it's just you on your own. This means that if you are out of commission because you're sick or too overworked, you won’t be able to function properly." "Remind yourself that not everything has to be perfect and that as long as you do your best every day, then you have done enough. You can only have so many priorities in life." How do you think training prepared you for a leadership role? "I think competitive sports have prepared me for a leadership role in the sense that I can take responsibility if I make a mistake. When you are competing in an individual sport, if you lose, you have no one else to blame except yourself." "However, how you deal with failure is up to you. You can choose to be defeated, or you can choose to go back to the drawing board and try again. If you can take responsibility for your mistakes, be bold to try again -- then you may succeed the next time." "There is a Japanese saying in martial arts: fall seven, get up eight. Martial arts has taught me the value in perseverance in the road to success. In order to succeed, you need the discipline to stay the path and be consistent." Formerly on the Hong Kong Rugby national team, Stephanie's passion for health and fitness evolved into personal training business Calibrate by Steph. The exercise physiologist designs personalised health management, nutrition, and exercise rehabilitation programmes for her clients. Steph shares her thoughts on how her ruby career cultivated personal and professional skills, mental strength -- and a business opportunity. How has rugby prepared you to be a good leader? "Playing rugby has played such a crucial role in terms of my mental growth. I've learned so much on how to tackle different situations, understand what grit means, know when to push and dig deep, but also learn when to scale back and give myself a break too." "All of this, of course, feeds into leadership, and I believe that it's the team sport environment that has taught me to really listen to those around me, solve problems as a unit, making sure everyone has a voice in order to move forward happily." "As a leader, it's about making sure all parties in your team are happy and feel valued. Without this team culture, the seams may start to fray along the edges." How did you set yourself up for the next challenge? "I'm lucky that I knew what I wanted to do after rugby. I found my passion in exercise physiology, and that made the transition a lot clearer. It was more about focusing on the future and what exciting prospects lay ahead, rather than dwelling on the past." "The key for me was finding something that would make me happy. Once I found it, I made it happen!" So how did you go from playing rugby to running your own business? "I think the transition from being a full-time athlete to a starting my own business came relatively easily, only because I had started paving that path at the start of my athletic career." "It was hard leaving the professional sporting set up, namely because rugby was such a big part of my identity, and it was scary to think it wasn't going to be a priority in my life anymore. I guess I have always known that professional sport is not forever, and that you always need a backup plan." "That applies not only to athletes -- but life in general. Nothing is permanent. You can make what you want out of what it is you're after. It's just a matter of getting up and actually doing it!" What do you think you learned from training? "I've always been a firm believer that sports are the best teacher of life skills. The mental game is so incredibly underrated, and often is the most important factor when it comes to marginal wins or losses." "It's not about being the best at the sport, or becoming the best athlete you can be. It's about the mental grit and lessons learned from a loss, a win -- how to push yourself physically through digging deep mentally and emotionally. It's how you build your character." And how does discipline fit into the equation? "It is what drives my business! I have no one else to fall back on. If I fall short on something, it's my own fault, which means it's up to me to fix it. Without learning this fundamental skill, I don't think I would be able to have my own business, let alone run it." "Discipline is a practice that has been drilled into my system through the different team sports that I've been a part of. It's really just about setting a standard for yourself, rather than trying to put it on anyone else. The standard you set can always get higher, so long as you have an open mind and a desire to grow."